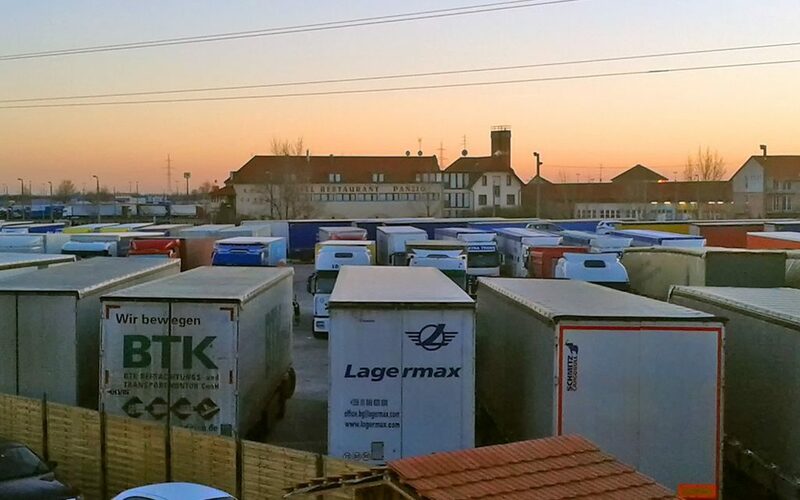 You can now Book & Pay secure truck parking spots in Hungary! We present you: Autohof Hegyeshalom along highway A4 & E60 near the border of Austria, Hungary and Slovakia. Located along the Orient/East-Med Corridor. € 7,- for 10 hours or € 10,- for 25 hours. This safe and secure truck parking area is fenced and offers the following set of security requirements; 24/7 guard, video surveillance, gated entrance and flood light. Besides a good security level this parking location offers several facilities to enhance the comfort and stay of your driver(s). This parking is approx 4 hours drive from our Book & Pay parking Smart Autohof Pecica.